Like many destination countries for international students, New Zealand relies heavily on major world markets, notably China and India, for its international enrolment base. But the New Zealand government has also signaled its intentions to target specific global regions for the development of closer trade and cultural ties. Two major strategy statements have been released over the past month under the “NZ Inc” banner, targeting the 10-nation ASEAN block and the six Middle Eastern states of the Gulf Cooperation Council (GCC). NZ Inc is an umbrella group representing a broad cross-section of New Zealand government ministries and agencies, including Education New Zealand, with an interest in international affairs and trade. “The strategies are plans of action for strengthening New Zealand’s economic, political and security relationships with key international partners. They target countries and regions where New Zealand has existing or emerging relationships, and there is potential for significant growth. With a combined population of more than 260 million (roughly 60% of which is under 35 years old), the International Monetary Fund is projecting annual growth of between 5–6% for the 10-country ASEAN region for the period 2013 to 2017, according to Education New Zealand. Increase annual visitor expenditure from the region by two-thirds, from NZD $289 million to NZD $470 million. While New Zealand’s ASEAN strategy will no doubt further focus the efforts of the country’s educators, needless to say New Zealand is currently active and invested in the region. Among other activities, Education New Zealand maintains full-time Market Development Managers (MDMs) in Malaysia, Indonesia, Thailand, and Vietnam. MDMs work with local agent networks and support ongoing student recruitment and market development initiatives in their respective countries. This includes working with New Zealand polytechnics to meet the demand for vocational and technical education as well as summer school programmes. There are also opportunities for receiving Gulf government scholarship students in areas such as tourism, police, health, defence, aviation, and public administration. As the education relationship matures, increased opportunities are likely to arise around academic exchange and science cooperation, and alumni communities in the Gulf will become important advocates for the relationship. As well as sending students off-shore, Gulf States are focused on improving education delivery in their own countries. New Zealand education services firms, as well as universities and institutes of technology, are well placed to partner with Gulf States. This renewed focus in ASEAN and the Gulf Region is taking shape as Education New Zealand has also released an updated Statement of Intent for 2013–2016. This follows earlier, but equally ambitious, goal statements for the expansion of the country’s share of the global education market. The new Statement of Intent provides a compact summary of the current position of New Zealand’s international education sector. The economic impact of education exports in New Zealand, as reflected in contributions to GDP by export education sector. Source: Education New Zealand. The updated statement establishes two “intermediate outcomes” – that is, specific near-term goals, for the period 2013–2016. Increased economic value from international students studying in New Zealand. More specifically, to increase the overall enrolment of international students by 1% in 2013, 4% in 2014, and 5% in 2015; and to increase international graduate student enrolment by 5% in 2013 and 6% in 2014. Increased economic value of education products and services that are delivered offshore. More specifically, to increase offshore enrolment by 9% in 2013 and 10% in 2014, and to expand the number of offshore agreements to include six new programmes in 2013/14, ten in 2014/15, and ten more in 2015/16. Expanding the scale of its marketing efforts in top-priority markets. Leveraging existing bilateral education agreements and encouraging the establishment of further agreements and programmes. Providing targeted funding to New Zealand institutions to build capacity or otherwise enhance business growth strategies. It appears that many of these activities will be concentrated within Education New Zealand’s established Tier 1 and Tier 2 groupings of international markets. 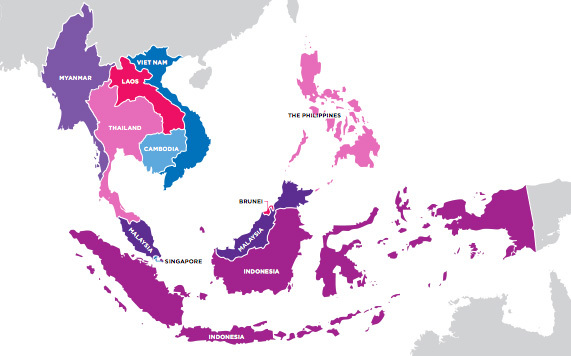 These include Indonesia (Tier 1), Malaysia (Tier 2), Thailand (Tier 2), and Vietnam (Tier 2) from the ASEAN block as well as a broad regional Tier 2 target – the Middle East region – that in turn aligns well with NZ Inc’s new Gulf region strategy. This entry was posted in Agents, Australia/Oceania, Higher Education, Most Popular, New Zealand, Regions, Vocational and tagged scholarships for foreign students, vocational studies, colleges with international students, international students, universities with international students.